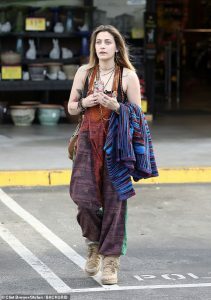 PARIS Jackson began her 21st birthday with an early morning. Stroll with her beloved pooch, Koa Bear, before heading to the supermarket with boyfriend Gabriel Glen. The low-key celebration comes just weeks after it was reported that Paris was placed in the hospital for a suicide attempt. The birthday girl also slung a leather backpack over one shoulder to keep her belongings in and added a pair of comfy-looking moccasin boots for the dog walk. Keeping her company on the walk was boyfriend Gabriel Glen, who looked casual in a pair of baggy trousers, trainers and hoodie. Paris and her beau were later seen leaving the local supermarket pushing a trolley full of goodies to celebrate her milestone party. The couple looked sweet as they walked together before Gabriel presented Paris with a bunch of flowers. 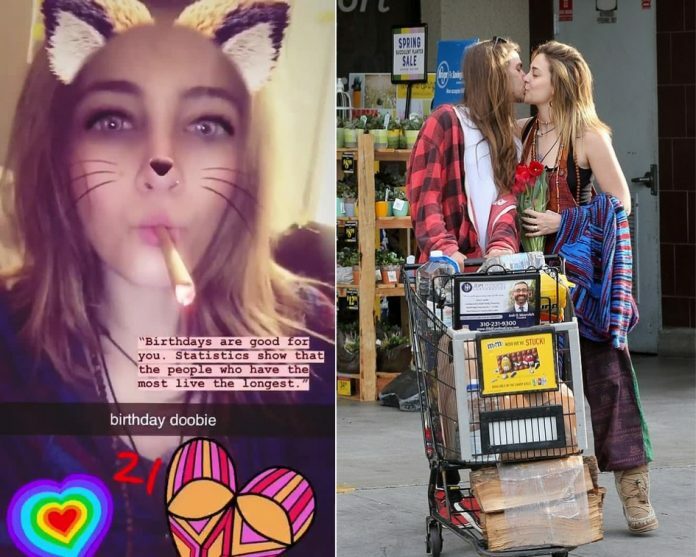 Paris Jackson Turns 21, Celebrates Birthday with BF Gabriel Glenn Posts shares Kissing Pics as they step out in LA. Sharing a tender kiss as they left the shops, the pair looked completely at ease with one another as they chatted and shared a laugh before heading to the car. Paris later revealed on Instagram her plans for camping had fallen through but that at least she’s got to enjoy “some fish tacos with two of my favourite granolas in the whole wide world [sic]”. 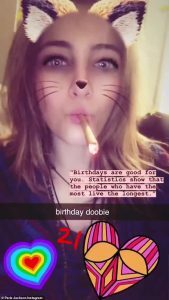 Shortly after turning 21 on Wednesday, the model and musician shared a video of herself smoking a “birthday doobie” on her Instagram Story. Paris Jackson is an American model, activist, actress and musician, who currently works as a musician and model. 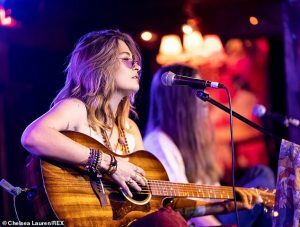 She is the daughter of musical legend Michael Jackson and Debbie Rowe. Michael Jackson has three children and she is as one of them. Paris Jackson is the middle child amongst her siblings Prince and younger brother Prince Michael Jackson II (formerly called Blanket). Paris Parents divorced early in Paris’ life and she and her brother were raised by Michael. Her Father Michael passed away in 2009 when Paris was 11 years old. Gabriel Glenn made sure the whole world knows how deeply in love. 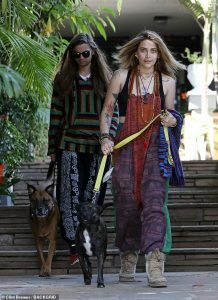 He is with girlfriend Paris Jackson as she turned 21 on April 3. The Soundflowers bandmate took to his Instagram and shared a series of seven different photos of the couple kissing passionately. As if that wasn’t a romantic enough gesture, what he wrote in the caption is making us melt! “Happy Birthday BB Gurl!!! 🎂🎉 what a crazy beautiful strange trip around the sun it has been. My sun rises and sets with you. You’re my moon, my everything,” he began. “It has been the greatest honour and pleasure to share my heart, soul, dreams & bed with you. Thank you for showing me what unconditional love really is, you make me a better man & musician than I could ever hope to be. You put the words in my head, the melodies in my heart. One birthday together down, a lifetime to go. Here’s to you doll, our family & our fur babies. 🥂 Love you most with butter and toast. 💘 Always, GG,” he added. AWWW!!!! A lifetime to go? Sounds like an engagement could be in the future. Paris and Gabriel were first linked in Aug. 2018, when they performed at a cancer benefit in California. At the time the pair denied rumours that they were dating. It took until January of 2019 when they started putting on PDA shows and were no longer keeping their relationship undercover. “It’s obvious to those around Paris just how happy she is and they all know it’s in large part to Gabriel. Paris is a very private person which is why she wanted to try to keep her relationship on the down low. Even denied it to several people who asked, stating she and Gabriel were just friends. Paris Jackson Celebrates Birthday with BF Gabriel Glenn Posts shares Kissing Pics as they step out in LA. But she can’t contain her love, happiness any longer, she feels really good about it all,”. After Gabriel’s incredibly romantic birthday message to Paris, it’s clear this two arr deeply in love. Previous articleJustin Bieber slammed for ‘disgusting’ fake pregnancy prank post on April Fools’ Day: Hailey Baldwin not pregnant! Top 10 Countries with Most Beautiful Women 2018: CheckOut!